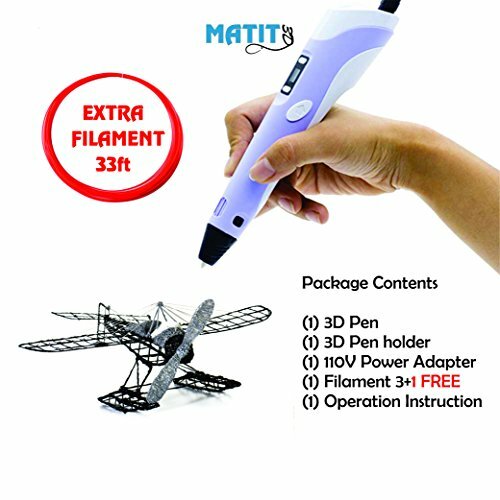 This 3D Pen is suitable for both kids and adults. A perfect gift for children that helps improve their spatial thinking ability and develops creative imaginations. It's a great way for parents and kids to spend quality time together. Create a colorful world for your family. 1. If filament wasn't removed after previous use, re-heat the pen then press the feed button. Do not press the 'back' button. If you have any questions about this product by Matit, contact us by completing and submitting the form below. If you are looking for a specif part number, please include it with your message.